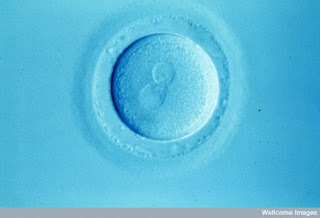 The first human eggs grown from human stem cells could be fertilized with human sperm cells later this year, potentially revolutionizing fertility treatment for women. This could be one more step on the path toward reproduction sans human interaction — in this case, a potential parent wouldn’t even need to donate her eggs. But it could also turn stem cells into an infinite loop, of egg cells into embryos into stem cells, and on and on, in a fractal-like repetition of reproduction.